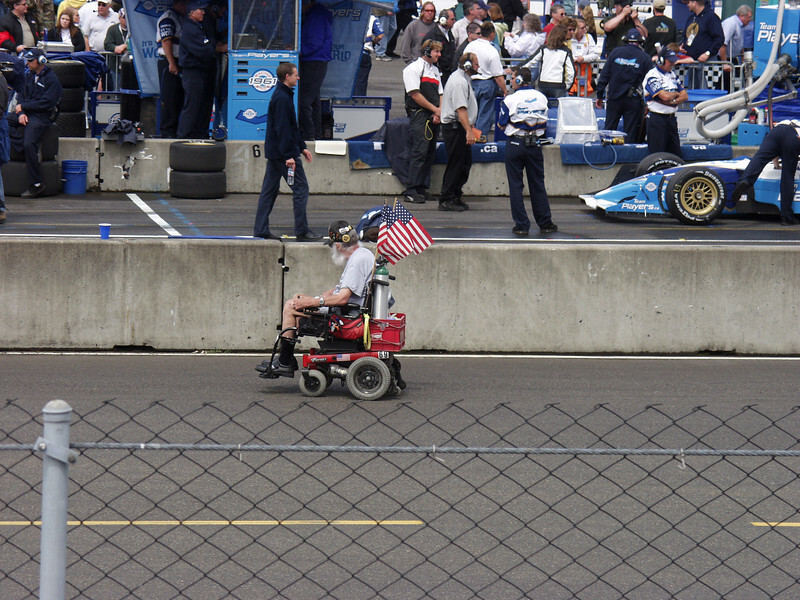 I admired this guy for his sheer determination to enjoy his favorite sport. Or he just might be a NASCAR spy.... Shot at Portland (OR) International Raceway.